We have a ewe lamb that has just had a rough time of it, the same ewe that had Fly Strike earlier this summer. A couple of weeks ago, we noticed that she had wool some falling out. Another case of fly strike? We bought her in to look her over, no fly strike. but we did notice that when we lightly pulled on her curly locks, they came out in handfuls. She had a break in her wool. Wool break can happen when the sheep have had an illness, fever or have been under stress. In her case, we are assuming stress due to the fly strike. When they get wool break, it is right down to the skin so we left the wool, hoping she would get some new growth before she lost her woolly coat. We were worried about her getting sunburned if we removed the wool. 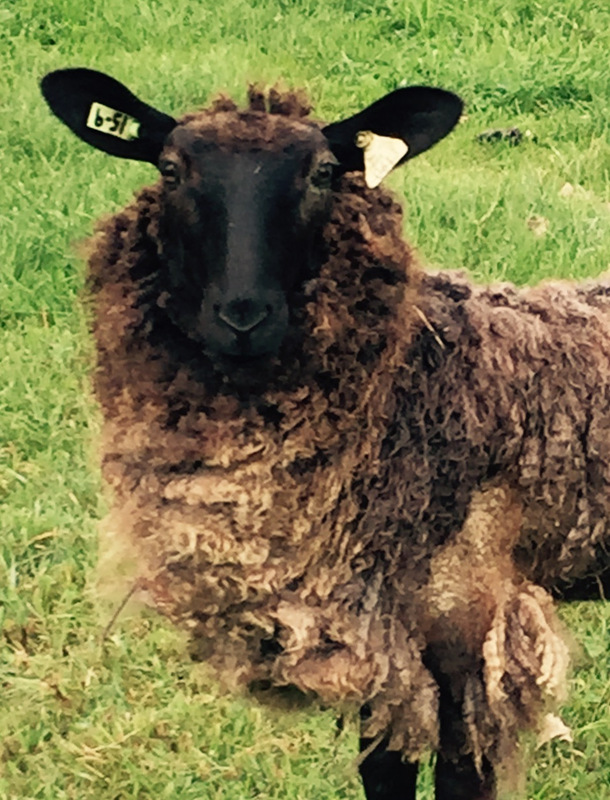 As you can see in the picture she did get some new growth before her wool fell off. She has shed almost her whole coat. She is doing okay, even though she looks a little mangy right now. I hope this is the end of her troubles, as she has had a rough way to go! Such a pretty girl, even "mangy". Hope she's turned a corner. Oh, poor girl, but I'm sure she will be herself again soon. So glad she has a good shepherdess.